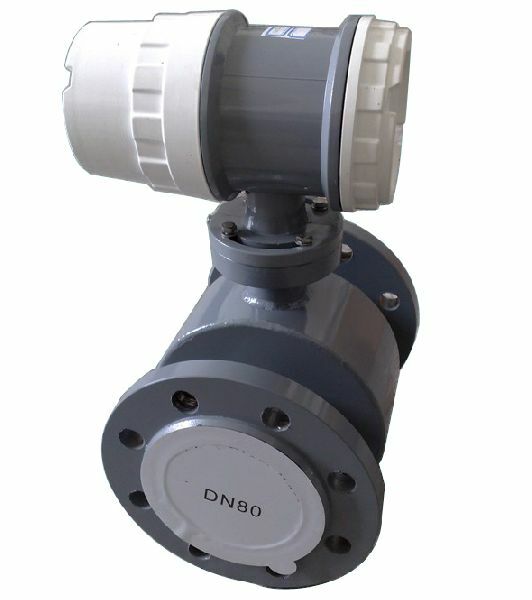 Electromagnetic flowmeter is composed of sensor and converter. It has two forms : compact-type and remote-type. The remote-type also needs a special double-layer shielded cable to connect the converter and the sensor. There are seven kinds of electrode materials and four kinds of lining materials available for sensor. Features measurement is not affected by the variation of flow density, viscosity, temperature, pressure and conductivity. High accuracy measurement is guaranteed according to the linear measurement principle. No obstacle in the pipe, no pressure-loss and lower requirement for straight pipeline. DN 6 to DN2000 covers a wide range of pipe size. A variety of liners and electrodes are available to satisfy different flow characteristic. Programmable low frequency square wave field excitation, improving measurement stability and reducing power consumption.Implementing 16 bits MCU, providing high integration and accuracy; Full-digital processing, high noise resistance and reliable measurement; Flow measurement range up to 1500 -1.High definition LCD display with backlight.RS485 or RS232 interface supports digital communication. Intelligent empty pipe detection and electrodes resistance measurement diagnosing empty pipe and electrodes contamination accurately.SMD component and surface mount technology (SMT) are implemented to improve the reliability.